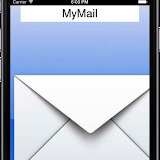 MyMail is the solution to managing all of your email accounts in one simple app. With the quick access links you can view your latest emails quickly. MyMail uses the mails own site so you won’t have to learn new software! Download MyMail for FREE below! Want to be notified when new updates come out? Subscribe to our weekly tech letter so you don’t miss anything new! Subscribe here. Want to see what was new in earlier versions? Check out the previous versions page here. You will find it at the bottom of the page. Like the app? Rate it here. I have a question that is not listed here! If you have any questions regarding that app please be sure to email us your question here. We would be happy to help! Also, if you would like you question or solution added to the FAQ list be sure to email us and we will do so. Get a reply to your support email within 24 hours! Open the app and go to "More...". Wait for a few seconds and a box will pop up. Click the update button and you're done! How do I download the app on iOS? First, you want to click the download button above. Next, there will be a pop-up box telling you how to download it. If that doesn't come up you will want to click the share button and then "Add to home screen". You will be prompted to enter a name and then click the add button. How do I download the app on Android? First, you want to click the download button above. Then, you want to add the page to your bookmarks. Open your bookmarks page and hold on the bookmark. A box will pop up giving you some options. Click the "Add to home screen" button. How do I install it on Windows? First, you want to click the download button at the top of the page. Then click the three dots in the bottom right corner. Third from the bottom it will say “Pin to start”. Click that and then you can move the tile around to your liking. © 2012-2016 iappletech128 all rights reserved.